LANGTON, ANNE, settler, artist, author, teacher, and musician; b. 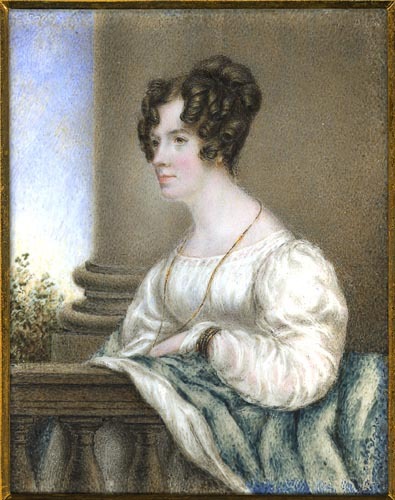 24 June 1804 in Farfield Hall, Bolton Abbey, England, second child and only daughter of Thomas Langton and Ellen Currer; d. 10 May 1893 in Toronto. In 1815, shortly after Napoleon’s defeat at Waterloo, Thomas uprooted the family to broaden the children’s education. The Langtons’ European tour was no dilettante trip. They spent six years in nomadic, though civilized, existence, in several countries. Their immediate destination was Yverdon, on Lake Neuchâtel, Switzerland. Here, the educational reformer Johann Heinrich Pestalozzi ran an innovative institute which Anne’s younger brother, John, attended; Anne and her older brother, William, were tutored privately by institute masters. Pestalozzi encouraged individual talent rather than competitive rote learning and advocated education by deduction from experience and by sensory perception: sound tenets for future pioneers. The Langtons’ studies included languages, literature, music, art, and fencing. Their further travel experiences gave them a philosophical attitude toward vicissitudes and an enhanced appreciation of foreign cultures – further invaluable assets. In Switzerland, Austria, and Italy they visited art galleries and attended concerts, fiestas, and papal audiences. They resided in Frankfurt am Main, Montpellier, Florence, Rome, Venice, Naples, and Paris. Anne copied works by Old Masters, sketched landscapes derivative of “ideal” composition, inhabitants of various countries in national costume, and not-too challenging, rear-view early portraits of her mother and her aunt Alice. Fellow travellers whom the Langtons came to know well in Europe included Isaac Weld* and family – Weld’s Travels through . . . the provinces of Upper and Lower Canada . 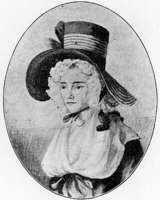 . . (London, 1799) would later persuade John Langton to immigrate to Upper Canada – and the noted travel writer Mariana Starke. The Langtons’ almost voracious pursuit of culture and learning came to an abrupt halt because the family business in Liverpool, managed by a nephew, was floundering. 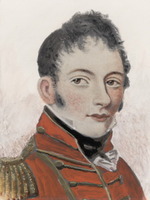 Thomas visited England in 1820 to enrol John in a school and to attempt to salvage the business. They rejoined the family on the Continent for Christmas. Early in 1821 the Langtons hastily returned to England, taking up residence in a small house in Liverpool. What had been intended as a temporary interruption to their life at Blythe Hall now became permanent severance. The house was sold to the tenants who had rented it during the family’s absence abroad. 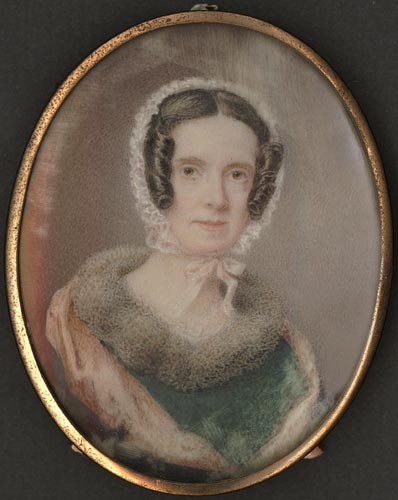 Between 1821 and 1837 Anne kept house, visited close friends and relatives, copied art works in private collections, and practised miniature painting, which she had studied in Paris. In 1825, on a now-rare occasion of hospitality, the Langtons entertained John Franklin*’s party before its embarkation for the Arctic. That year the family moved to nearby Bootle, a quiet coastal spa. By 1826 William had begun a successful career as a banker and John was studying at Cambridge, but their father was virtually bankrupt. In 1833 John immigrated to Upper Canada and took up residence on Sturgeon Lake, near such other genteel settlers as Thomas Alexander Stewart*, Samuel Strickland*, Thomas Traill, John Wedderburn Dunbar Moodie*, and their families. Anne, having overcome her father’s reluctance to her earning income by practising art, now painted portraits, but only on commission for relatives and close friends. By 1837 family resources were so low that “the Canada project” – to live with John – was embarked upon. Thomas, Ellen, Alice, and Anne set forth on 24 May, not without warnings that theirs was “rather a wild scheme” for three ailing, elderly people and a spinster who, in her mid thirties, was going deaf. In New York Anne viewed an exhibition by “Native Artists” and then recorded New World scenes, including some similar to those painted by artists of the Hudson River school. Visiting Niagara Falls “before burying ourselves in our backwoods home,” Anne experienced aesthetic conflict from her inability to appreciate fully “the scale of [their] magnificence,” dismissing her sketch as “my presumptuous representation.” As she had at St Peter’s Basilica in Rome, she found “you must ramble about and retrace your own steps many times” from different perspectives for “the views themselves may be partial or obscure, but they each and all assist in the expansion of one’s imagination.” Continuing via Toronto, Rice Lake, and Peterborough – “How wild! A waste wilderness of wood” – the Langtons finally reached John’s home, Blythe, and were squeezed with their belongings into the small log cabin while he completed “the big house,” the first double-storey log house in the area. Anne’s refined sensibilities were shocked by “a greater degree of roughness” in landscape, buildings, and “especially roads.” Soon, however, she commented philosophically, “One rather wonders that so much has been done.” Thomas survived emigration only a few months. The family, undaunted, increased acreage and livestock and landscaped the property as an oasis reminiscent of ideal English gardens. Christmas was disrupted by William Lyon Mackenzie*’s rebellion; John was among local settlers alerted to prevent the rebels’ escape by a back route. Educated to flourish as a “tender exotic” in the rarefied atmosphere of English drawing-rooms, Anne now applied her intelligence resourcefully to practical pioneering. She kept accounts, glazed windows, sewed heavy upholstery, and became adept at butchery, food preservation, baking, and candle- and soap-manufacture. Within days of her arrival she had also embarked on a self-imposed, spare-time project that took years to complete: sketching her surroundings so that William’s family and other relatives would have “some sort of a notion what this world of ours is like.” She kept journals for the same reason. Unlike Jameson, Moodie, and Traill, Anne never wrote or sketched for publication. She was sufficiently, though not luxuriously, provided for and was perhaps constrained intellectually by the negative “bluestocking” epithets directed at women who publicly demonstrated their learning. 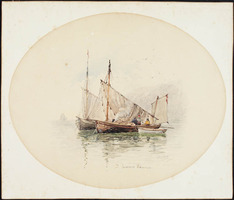 The journals of Mary Sophia O’Brien, mother of the artist Lucius Richard O’Brien, also never intended for publication, are mundane in comparison with Anne’s. They are also more prosaic, as are the letters of Frances Stewart [Browne*]. Mary’s and Anne’s responses to Niagara illustrate their contrasting approaches. Mary’s is the more conventional: “The waters came gaily on, hurrying tumultuously in the very wantonness of their joy.” Anne weighs perspective, scale, circumstance, and varied viewpoints before offering her discerning conclusions. Mary’s first-hand account of childbirth echoes Anne’s second-hand observations on pioneering women’s sturdiness. Anna Jameson writes as a temporary, albeit acutely observant, traveller; the diaries of Elizabeth Posthuma Simcoe [Gwillim*], Lady Durham, and Lady Dufferin are relatively superficial accounts by official, privileged visitors. Anne Langton’s chronicle, however, is the unromanticized but resiliently cheerful view of one who came, stayed, and endured. Of the woman settler’s lot, she wrote, “Their trial is the hardest; their drudgery is more uniform, and there is no romance to cast a little glitter upon it.” Of pioneer life in general, she commented realistically, “There cannot well be a more unpoetical and anti-romantic existence than ours.” One can picture hard-of-hearing spinster Anne sitting, Jane Austen-like, in the “parlour” of an evening, quietly recording her impressions. Less directly utilitarian than Catharine’s, far less negative than Susanna’s, Anne’s occasional unfavourable comments are given “not at all in the spirit of a grumbler” but “with the desire of making you more exactly conceive the precise style of civilization to which we have attained.” A fine sense of irony complements Anne’s delicate, but sharply barbed, gentlewoman’s wit: “The Dunsfords, I expect, will quite eclipse us, for they, it is said, are bringing a carriage out with them. I hope they do not forget to bring a good road too.” Thomas Need’s contemporary published account of pioneering life, one of the few from the male settler’s perspective, elicited a rather uncharacteristic, frosty note from Anne, the private journalizer: “It is a slight affair to have attracted so much notice . . . in the periodicals . . . I think he has been well paid for the trouble of putting it together – it is something of a puff.” As, indeed, it was in comparison with Anne’s own meticulously detailed and thoughtful record. The years 1845–47 marked a watershed in Anne’s life. John married in 1845, Ellen Langton and Alice Currer died within weeks of each other during the severe ague epidemic of 1846, and John, his wife Lydia, and Anne made a return visit to England in 1847 which, in Anne’s case, lasted for three years. In 1849 she faced another turning-point. Should she remain with William’s family “frittering my life away” as ornamental lady, take a post as governess at a friend’s school for young ladies near London, or return to help raise the new “Canadian” Langton generation? Once again, circumstances did not force her into independence. She opted for reciprocal sustenance and partial self-fulfilment with John’s family, and returned in 1850. 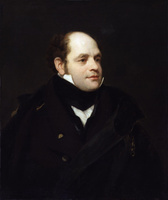 The Langtons’ backwoods years ended in 1851 when John was elected to the assembly to represent Peterborough. The family, after first living there, moved with the government to Toronto (1855–60), Quebec (1860–65), and Ottawa (1865–78). At Peterborough Anne became organist and music director for St John’s Church; presumably, her hearing impairment was not yet so severe as to prevent her leading the congregation’s singing. After John’s retirement in 1878 the Langtons returned to live in Toronto. By then, Anne had made several more extended visits to Britain, in 1860–62, 1868–70, and 1873–75; she made her last visit there, still touring, in 1880. Anne’s visual record is an extensive portfolio: early attempts done in Europe; exquisite miniatures capturing highlights of personality and epoch; on-the-spot drawings for backwoods views; later, finely executed water-colour landscapes of sites in the Canadas, England, Ireland, Scotland, and North Wales. 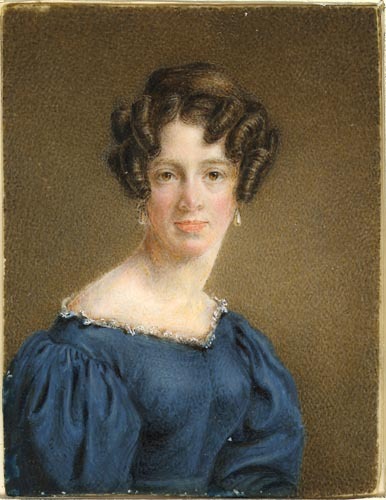 Her travels extended her subject-matter and awareness of artistic developments but from the 1820s to the 1840s she missed major exhibitions in Europe and Upper Canada. Never a full-time professional, Anne was, however, more proficient than most amateurs, especially most women amateurs. She relinquished miniature painting after emigration: neither she nor those she would have painted had sufficient chore-free time. 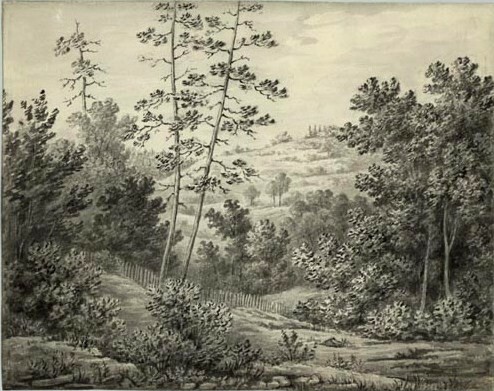 Anne pragmatically concentrated on backwoods landscapes, admitting, “I wish our scenes were more beautiful and the artist more skilful.” She risked her artistic reputation by depicting everyday scenes: log shanties, stumps, snake fences, and dense forests. Her views go beyond conventional early Canadian topographical studies such as Sir Richard Henry Bonnycastle* and Charles Fothergill* painted. Her treatment of trees suggests foliage mass, in the manner of the English artist Thomas Girtin, rather than individual detail. Never merely picturesque or sentimental, as much Victorian art in Canada and Britain was, her later work includes such non-beautiful elements as northern England’s industrial smoke-stacks. Although not innovative artistically, Anne was remarkably up-to-date in subject and treatment for a woman in her private, often isolated, position. During her last visits to England, in the 1870s and in 1880, she began to develop a much freer personal style, as her dramatic views of the frequently depicted Gordale Scar and Clapham Cave demonstrate. In 1879 Anne wrote The story of our family. Published privately in England in 1881, this retrospective account is more personal than the record eventually published as A gentlewoman. Of initial post-emigration difficulties, she observed, “I never shall forget my feeling of despair at that time . . . . Now, it did seem a rash step for such a party to come out to such a place, but we were very careful in writing home to say as little of our difficulties as possible.” The book was written at the Langtons’ first retirement residence, 23 Prince Arthur Avenue, later the headquarters of the Women’s Art Association of Canada. Anne died at 123 Beverley Street, the Langtons’ final home, near the site now occupied by the Art Gallery of Ontario. In the last years, too old to “ramble,” she practised the traditional gentlewomanly pursuits of embroidery and china painting, providing delicate, decorative legacies for immediate loved ones. In her more extensive portfolio of perpetually delightful art works and in her lively written chronicles, Anne’s deft strokes with pencil, pen, and brush yielded a wider legacy for subsequent generations of her cultural descendants on both sides of the Atlantic. To echo her own comments on first viewing Niagara, her words and visual images offer “partial,” though never “obscure,” glimpses which “each and all assist in the expansion of [the] agination” of both reader and viewer. Anne Langton’s writings include The story of our family (Manchester, Eng., 1881), the only work issued during her lifetime, and A gentlewoman in Upper Canada; the journals of Anne Langton, ed. H. H. Langton (Toronto, 1950; repr. 1967). The journals and most of the letters in Langton records: journals and letters from Canada, 1837–1846, [ed. E. J. Philips] (Edinburgh, 1904; copies at Queen’s Univ. Library, Kingston, Ont., and UWOL), are also hers. A poem, “Dreams sleeping and waking,” is included in William Langton, Sonnets, original and translations from the Italian (Manchester, 1897), 74–75. 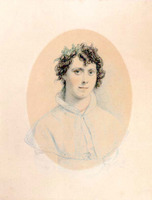 A self-portrait in miniature as well as a water-colour landscape and several of her drawings are reproduced in A gentlewoman; The valley of the Trent, ed. and intro. E. C. Guillet (Toronto, 1957), and John Langton, Early days in Upper Canada: letters of John Langton from the backwoods of Upper Canada and the Audit Office of the Province of Canada, ed. W. A. Langton (Toronto, 1926), are also illustrated by her work. Public institutions holding her paintings and drawings include AO, MU 1692–93, and Picture Coll. 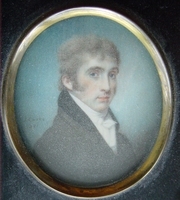 (the latter collection includes a self-portrait and eight other watercolour portraits of family members displayed in the archivist’s office); MTRL, Hist. Picture Coll. ; NA, Documentary Art and Photography Division; Univ. of Toronto Arch. (B65-0014: 0001, 0003, 0006–7); and the Committee for the Preservation of the Anne Langton Articles (Fenelon Falls, Ont. ), Anne Langton articles. AO, MU 1690–91; MU 2186, ser.B. UTA, B65-0014. M. [S. Gapper] O’Brien, The journals of Mary O’Brien, 1828–1838, ed. Audrey Saunders Miller (Toronto, 1968). [L. E. Grey Lambton, Countess of] Durham, Letters & diaries of Lady Durham, ed. Patricia Godsell (Ottawa, 1979). [H. G. Hamilton Blackwood, Marchioness of] Dufferin [and Ava], My Canadian journal, 1872–1878, ed. Gladys Chantler Walker (Don Mills [Toronto], 1969). Thomas Langton, Letters of Thomas Langton to Mrs. Thomas Hornby, 1815 to 1818; with portraits, and a notice of his life, [ed. E. J. Philips] (Manchester, 1900; copies at National Library of Canada, Ottawa, and Univ. of Toronto Library). Pioneer and gentlewomen of British North America, 1713–1867, ed. Beth Light and Alison Prentice (Toronto, 1980). Globe, 12–13 May 1893. Harper, Early painters and engravers. Patricia Branca, “Image and reality: the myth of the idle Victorian woman,” Clio’s consciousness raised: new perspectives on the history of women, ed. M. S. Hartman and L. [W.] Banner (New York, 1974), 179–91. Judy Chicago, The dinner party: a symbol of our heritage (Garden City, N.Y., 1979). Germaine Greer, The obstacle race: the fortunes of women painters and their work (London, 1979). A. J. Hammerton, Emigrant gentlewomen: genteel poverty and female emigration, 1830–1914 (London and Totowa, N.J., 1979). Elsa Honig Fine, Women and art: a history of women painters and sculptors from the Renaissance to the 20th century (Montclair, N.J., 1978). Barbara Williams, Anne Langton: pioneer woman and artist (Peterborough, Ont., 1986). Barbara [Williams] Wilson, ‘“Strangers in a strange land’ – literary use of Canadian landscape by five genteel settlers” (ma thesis, Univ. of Guelph, Ont., 1973). Barbara Williams, “LANGTON, ANNE,” in Dictionary of Canadian Biography, vol. 12, University of Toronto/Université Laval, 2003–, accessed April 24, 2019, http://www.biographi.ca/en/bio/langton_anne_12E.html.